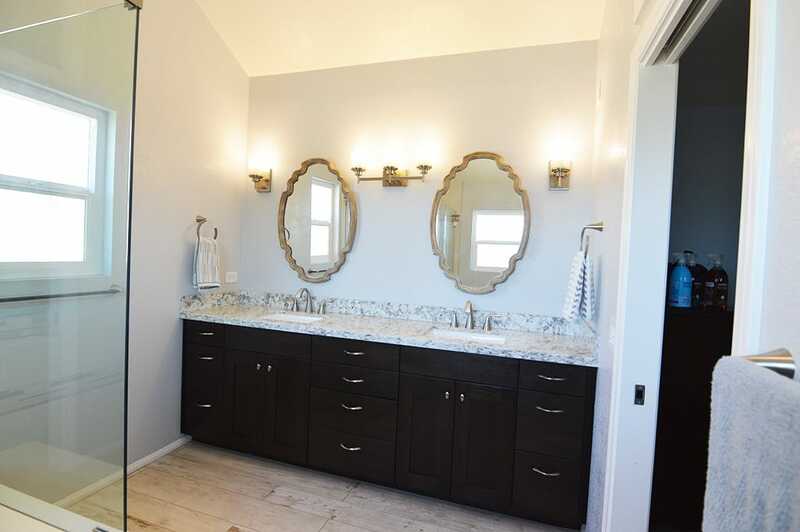 This master bathroom started off with a wall between the vanity and shower. 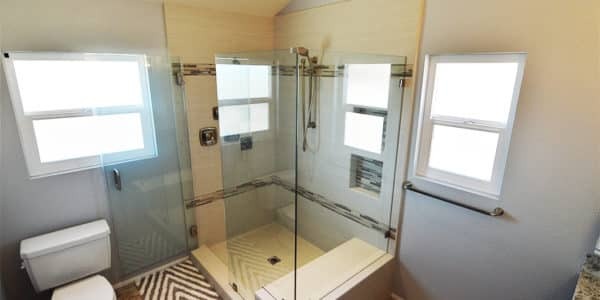 What a difference it makes to open it up! 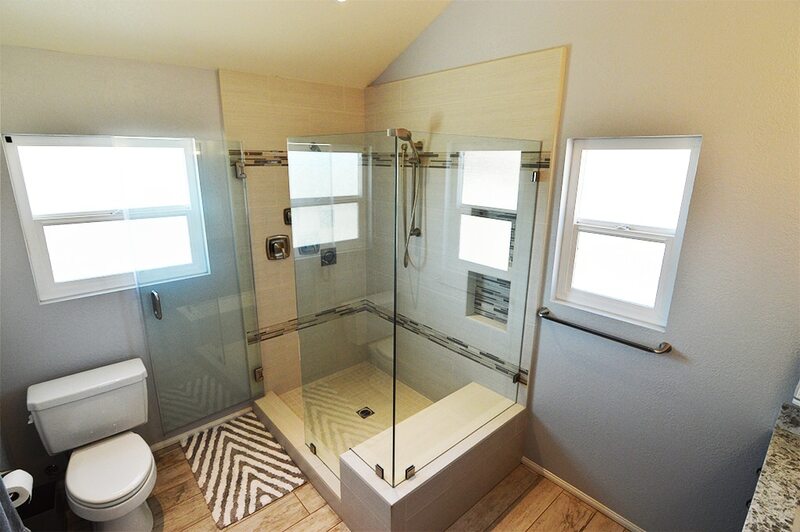 Style and function are merged with a barn wood style porcelain tile on the floor. 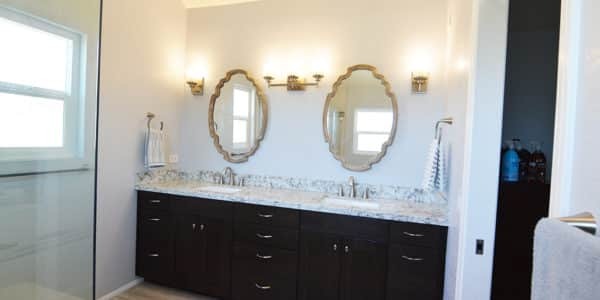 We then added espresso cabinets topped with quartz countertops so there’s never a need to seal them. 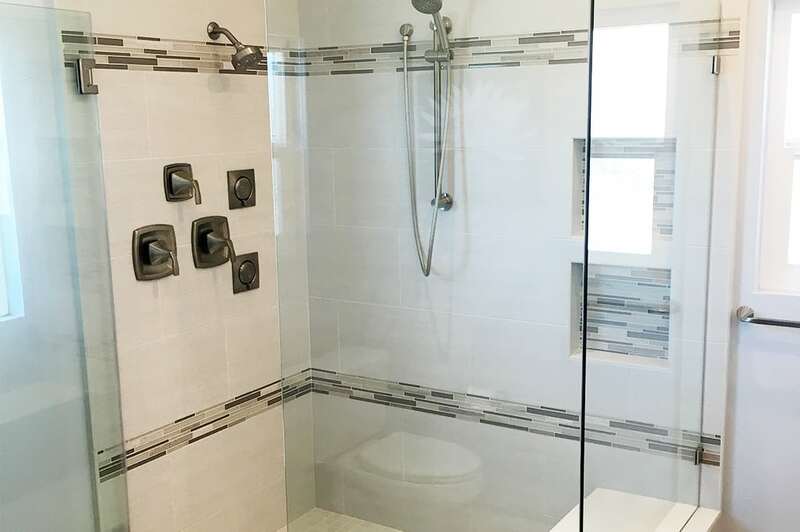 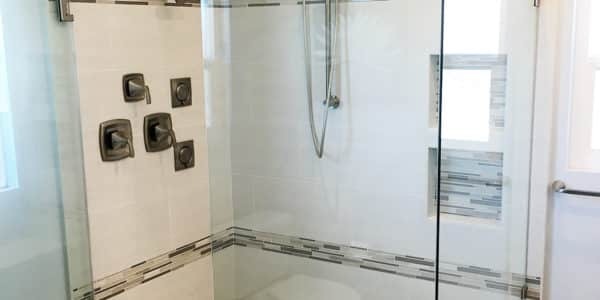 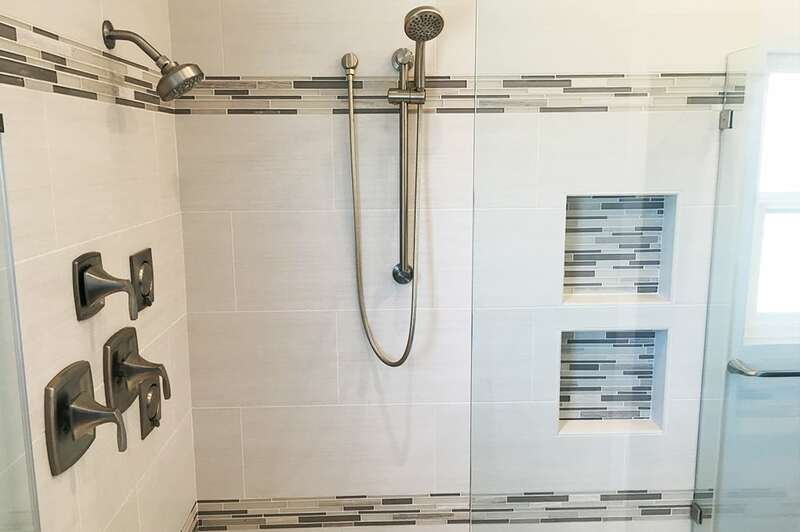 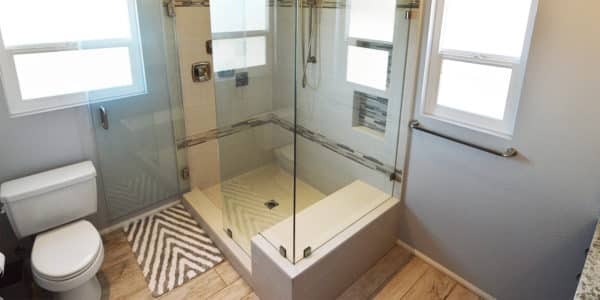 The shower is all style with a light linear patterned 12×24 porcelain tile with two 6” glass and stone mosaic accent bands. 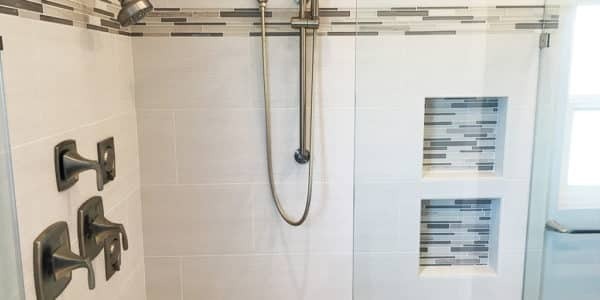 For added luxury we designed a vertical spa system complete with body sprays, shower head and hand shower.